Professional Builder’s Kieran Nee talks to the rising star behind ladder safety innovation, the Retrasafe stabiliser. The construction industry has come on in leaps and bounds when it comes to safety practices over the past 30 years. The image of builders kitted out in high vis vests, hard hats and steel toe cap boots is such a common one that it beggars belief that for a lot of sites, these are relatively new introductions. Depending on the site, of course, builders can sometimes barely make a cup of tea without first having to fill out a risk assessment form and erecting several barriers to protect passers-by from the steam. 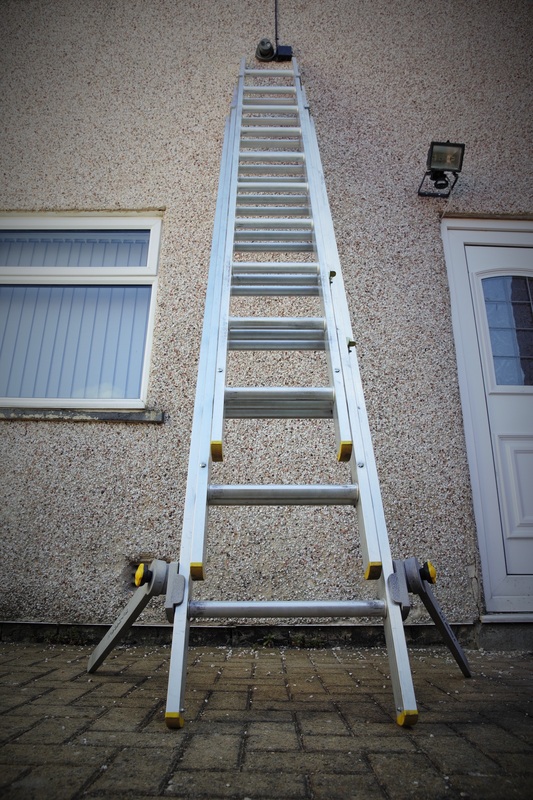 While many complain, rightly or wrongly, that health and safety has gone too far in the industry, you will hear few disagreeing with the need for caution when it comes to ladders. Unfortunately, little of practical use has been achieved in the way of improving ladder safety and injuries from falls remain stubbornly high. It was the desire to make something that would be easy to use, combined with a refusal to compromise on safety, that led Yorkshire-based Mubashir Akhtar to create the Retrasafe Ladder Stabiliser. 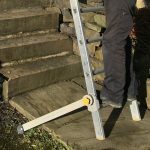 The stabiliser consists of two ‘legs’ attached close to the bottom of the ladder, which lie side by side with ladder when in storage, and swing out at an angle when needed. Previous : FMB: Builders Spend 2.5 Years Driving Van!